Watches and Aviation – mostly watches! 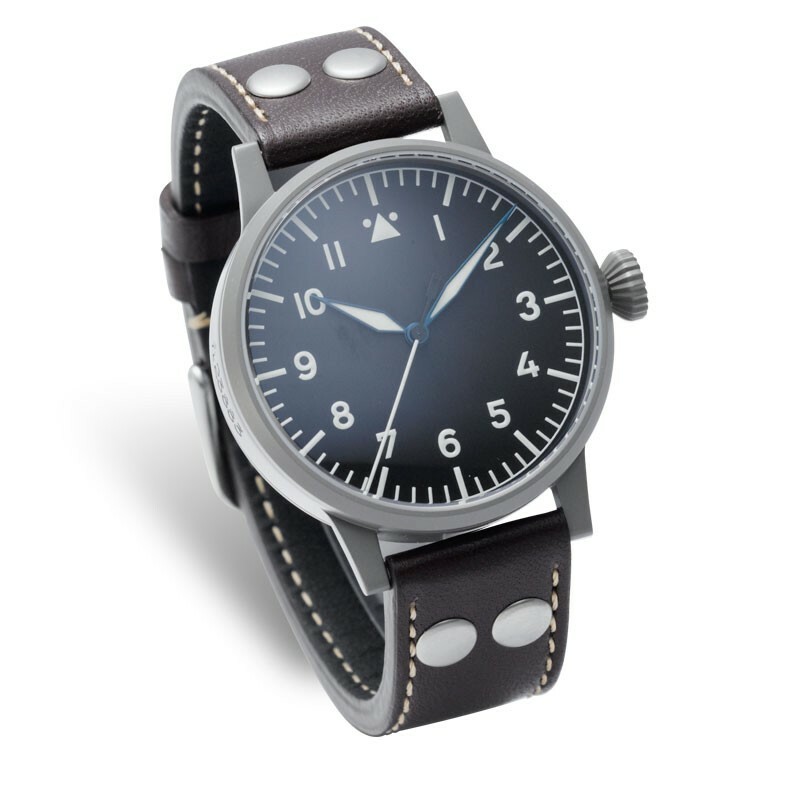 So where did the classic “flieger” look start? 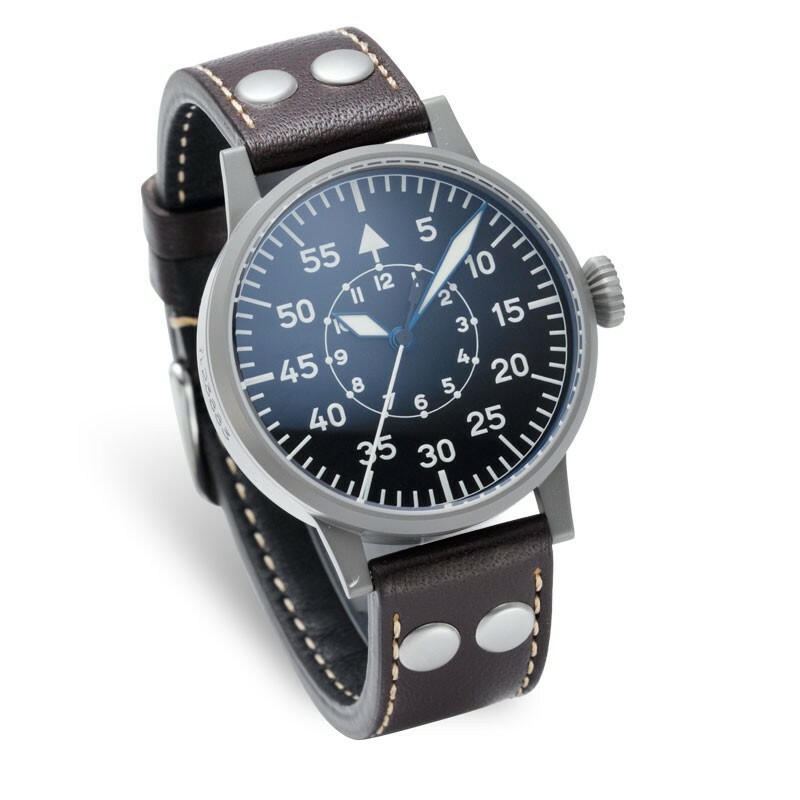 Where did the classic pilot style watch originate? Europe, specifically Germany. World War II broke out.. Combat aircraft had become such a powerful wartime tool, navigator’s watches were deemed war-essential and put into full production The German government required five manufacturers to build “B-uhr” specification timepieces, that would be anti-magnetic and chronometer certified. The pricipal contractor. A. Lange & Sohne, was unable to deliver the completed watches in time or in the needed number. The German government therefore brought the raw movements and cases to other watchmakers for mounting and regulating. The five companies that were assigned to build the watches were A.Lange & Sohne, International Watch Company, Laco, Stowa and Wempe. “B-uhr” is an abbreviation for the German “Beobachtungs-uhr” meaning “Observation Watch”. These became known as “Navigator’s watches ” or “Pilots watches”. Approximately 1200pcs were built in 1942 and they were eventually commissioned to German Luftwaffe pilots . To this day, no watch manufacturer can claim credit to its exclusive rights hence numerous companies can pay homage to the original design. The basic design principles of the B-uhr watch were the 55mm diameter (the size of high-quality pocket watch movements of the era were around 42mm-46mm in diameter therefore watch cases were limited to > 50mm), the use of arabic numerals, central seconds hand (must be hack capable to allow adjustments in time error), large onion or diamond shaped crowns (to allow for easy adjustments using thick gloves) and the ultra long double riveted buffalo strap to be worn over thick pilot’s jackets . Central to the design was the essential triangle marker at 12 o’clock with two dots on both sides. The triangle marker was used for the upward orientation of the dial during night flight. It also allowed the use of teh watch as a primitive solar compass. An anti-magnetic capability was needed, thus an iron inner core which also contributed to its large case design. and the 1941, uncompromisingly military-styled Bauart B or B-type Ironically, A-type, with its more civil looks, is more scarce. ← Early Aviator’s Pocket Watch. 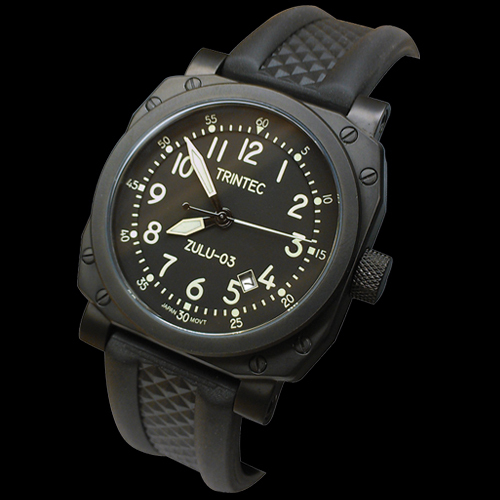 30th Anniversary Instrument Inspired Aviation Watches! Trintec Zulu-03 Cockpit Clock Watch Review.